Republicans and Democrats both stand to suffer from the ripple effects of the massive losses announced by JP Morgan Chase last week. JP Morgan Chase CEO Jamie Dimon described himself as "barely a Democrat" during an interview on NBC's "Meet the Press." Dimon has been a major donor to the Democratic party over the course of his career. Dimon may lean to the left, but presumptive GOP nominee Mitt Romney has been the largest recipient of funds from the financial service firm this cycle by far. According to The Center for Responsive Politics, Mitt Romney has received more than $373,650 in donations from individuals employed by the company, more than any other candidate for political office. Obama has received $76,675 from donors employed by JP Morgan Chase. Obama is the second largest Democratic recipient from those affiliated with the firm. Mark Warner, the freshmen Senator from Virginia, has so far received a total of $79,150 in donations, making him the largest Democratic recipient, second largest recipient overall this cycle. Dimon and his wife have given $730,000 in political contributions since 1992. The majority of that money has gone to Democratic candidates, including Hilary Clinton and Al Gore, though Dimon's giving history is bipartisan. JP Morgan Chase, the nation's largest bank, first reported a $2 billion loss last Thursday, adding new fuel to the already fiery debate surrounding financial regulation and oversight, and prompted and SEC investigation into the firm's practices. Transparency and regulation within the financial sector are two big topics for both parties in this election cycle, and the firm's massive loss could have potentially damaging ripple effects to both Obama and Romney. For Obama, the news of the company's loss has the potential to recall negative memories from 2008, when enormous losses in the financial sector resulted in massive job loss and dealt an enormous blow to the nation's economy. Obama may not have been the President who passed the controversial Troubled Assets Relief Program (TARP) but he voted for it in the senate and he came into office promising to bring big changes- among them accountability and transparency- to Wall Street and the financial sector. With JP Morgan Chase's loss though, those changes are underscored. Obama's former Chief of Staff, Bill Daley, served as Chairman of the Midwest Region of JP Morgan Chase prior to joining the administration. For Romney, the company's losses paint an obvious opportunity for attacks from the other side on the presumptive nominee's position regarding Wall Street reform. Romney has argued for the repeal of the Dodd-Frank financial reform bill, signed by Obama in 2010. It includes a version of the not-yet-implemented provision known as the Volcker Rule, which seeks to place limits on certain types of speculative investments. There is some debate as to whether or not the Volcker rule could have actually prevented JP Morgan's loss. The Obama campaign has already begun to highlight Romney's opposition to the Wall Street reform law. "Mitt Romney has been clear that he would repeal Wall Street reform, an engraved invitation for Wall Street to return to the biggest, riskiest bets that crashed the economy, destroyed trillions of dollars of wealth, and cost millions of workers their jobs" said Obama campaign spokesman Ben LaBolt in an email to ABC News. "And it would leave millions of families vulnerable to abusive practices and hidden fees from credit card companies, debt collectors, and mortgage lenders." "JP Morgan's reported $2 billion trading loss demonstrates the importance of oversight and transparency in the derivatives market, something Gov. 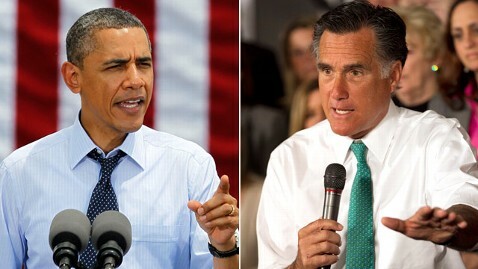 Romney has called for in the past" said Romney spokesman Rick Gorka in a statement. "JP Morgan's investors, not taxpayers, will incur any losses from this hedging trade gone bad. As president, Gov. Romney will push for common-sense regulation that gives regulators tools to do their jobs, and that gives investors more clarity." ABC's Devin Dwyer and Emily Friedman contributed to this report.